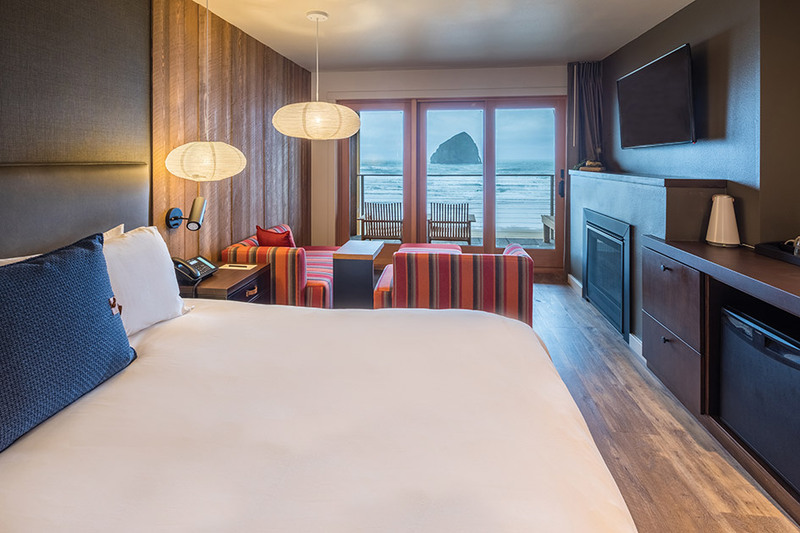 Headlands Coastal Lodge and Spa is a new, 33-room luxury lodge (with 18 adjacent two- and three-bedroom cottages) located in Pacific City, about a two-hour drive from Portland. 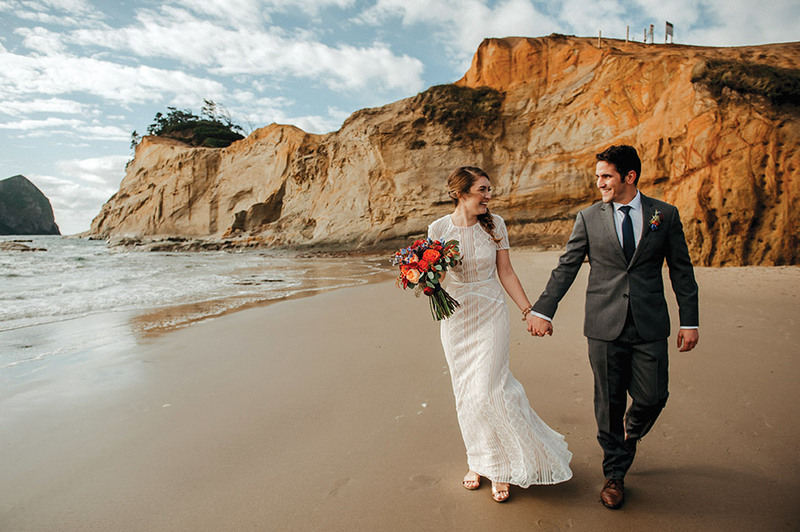 Intimate weddings and elopements can be held outdoors, near the waves crashing off Cape Kiwanda, or inside in the private event spaces. As many as 30 guests can be accommodated in the two conference rooms, called Longitude and Latitude, which are adjoined by an open-air courtyard and feature state-of-the-art audiovisual equipment. 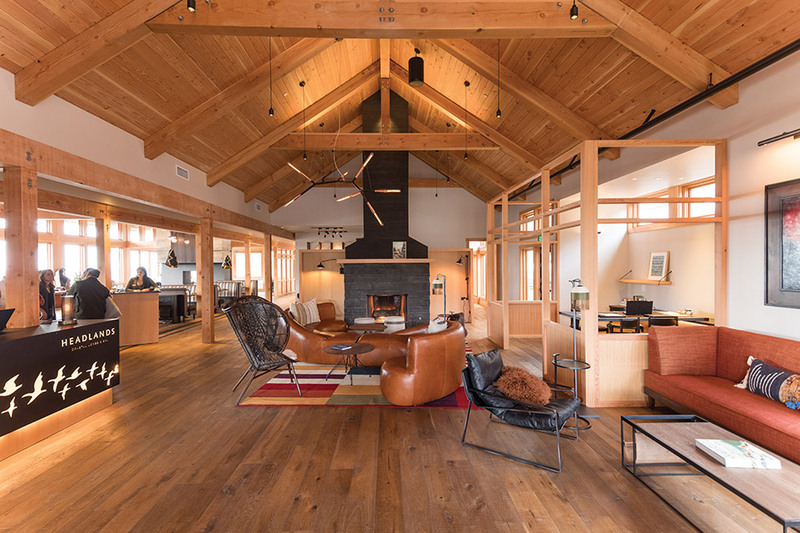 There are additional cozy spaces throughout the lodge, including the Fireside Room, which can hold as many as 30 guests for a reception. It also has accordion-style windows that open to draw in the ocean air. In-house food and beverage services feature innovative Northwest coastal cuisine paired with wines from Oregon, Washington and beyond, as well as brews from Pelican Brewing. For a chic spot in which to chill before the big moment or a cozy cocktail lounge for reception guests, consider parking this restored 1974 Airstream trailer at your wedding or party venue. After discovering a 1954 Bellwood camp trailer on Craigslist, Chase Maillard knew it would make an amazing mobile bar for events.